The Beneficent Spiritist Center União do Vegetal devotes special attention to the religious education of children and young people. 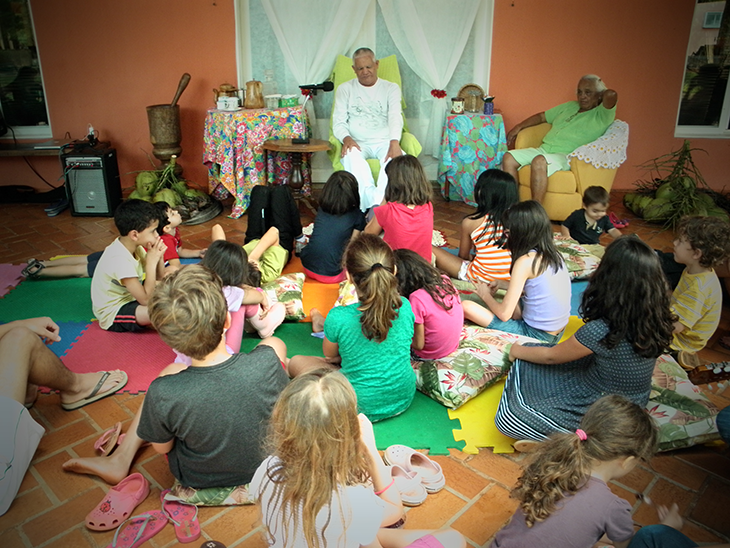 It has a program called Spiritual Orientation for Children and Young People (visit the site), provided to the children of the members of the Center, which aims to convey the essence of the doctrine of the União do Vegetal. In this way, when these young people turn 18 years old, the minimum age for membership in the UDV, they are more prepared to follow their paths as associates – if they choose. One must be at least 18 years old to associate in the UDV. The activities with the children and young people developed by the program are not intended to follow a school-like model in which they stay with the educators, but rather are designed to create opportunities for parents to develop the religious content with their children and extending it to their homes. About 800 members throughout the United States, Brazil and Spain are involved with the work that includes the significant participation of children and young people. The religious customs of the family formed by Manoel and Dona Prima (Mestre Gabriel’s parents) contributed to them conducting their lives cultivating the high values of honest work, care for the family and reverence to God. Testimonials from his family show that religious devotion was part of Mestre Gabriel’s life since childhood. He attended Catholic mass and celebrations and, along with his Aunt Rose, sang the hymn of St. Cosmo and Damian. Already in the União do Vegetal, Mestre Gabriel made a few sessions on the day of Cosmo and Damião (September 27). He also attended to youth and children in sessions of the Vegetal and taught some of the prayers that he learned during his childhood. This example has inspired the creation of the Spiritual Orientation Program for Children and Young People.